Do you have an Instagram account and do you want followers to be more and more? Make good photos will be essential, but you must also know how to attract the interest of people. 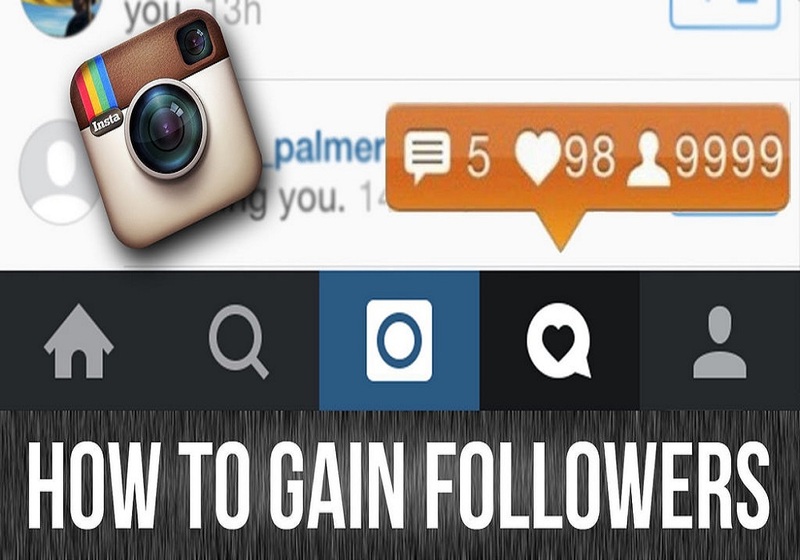 Let's see then, how to get followers on Instagram, step by step, and in an easy way. When creating an account on a social network like Instagram, we start having followers from our family and friends but also, depending on the type of content that we upload. We can generate followers that we do not know and who will be interested in our photos, landscapes, recipes or also, of course, of ourselves. Without being famous or an " influencer ", you can get real Instagram followers yourself. To do this, you must take good care of your publications and apply these tips that we give you. Post original photos and use filters that attract attention: This technique may seem obvious, but it is essential to succeed on Instagram. Remember that the goal is not only to get followers but also to ensure that they continue to interact with you even afterward, otherwise. All the effort will have been useless. and many people will soon stop following you. Connect Instagram to Facebook: When you sign up for Instagram, you will be asked if you want to link your account to Facebook. If you do so you can share the followers of one network in the other and vice versa and in the long run, get more followers. Like, comments and follow: Being active on your Instagram account does not mean that you only have to upload photos. You must interact with your followers. You must give "like" (heart), in the publications of who you follow, write comments or share publications. If you do it with others, they will do it with what you hang. Write in English: It's not silly, this is also a technique to increase Instagram followers. If your intentions are to be popular, you will have to address an international audience. Use many popular hashtags: This is one of the most functional strategies for adding followers. Insert several hashtags that are popular and relevant to your photo, it will increase the likes in a dizzying way. To find out which are the most popular hashtags, I suggest you go to Top Hashtag or use the Tags for Like application. Post at the right time: Not everyone knows, but posting at certain times of the day increases followers. Choose the appropriate hours, which are usually after five in the afternoon and on Sundays. In addition, it is shown that publishing a photo every 3 hours increases the organic scope of the publication. Follow the hashtag #firstpost: Write the hashtag "first post" in the search bar and follow as many people as you can. It is proven that newly enrolled people are more likely to correspond to follow-up. Also, if you also use this hashtag, you will receive many follow-ups from people who use the same technique. Use the Follower Free application: There are many applications for smartphones that increase your popularity in this social network. These applications, easy to use, allow you to accumulate credits by following people or adding "Like" to your photos, and once you have accumulated enough credits, we can buy like them or as followers. Use an application like CrowdFire: On the other hand, an application like CrowdFire allows us to stop following all the people who did not return the tracking so that in the long run it will help us to clean up our profile. Use a bot as Boostgram: Finally, we recommend this program, which is actually a robot that lets us know which followers are the best for us and gives us the possibility to buy them. Unfortunately, this program is for payment, but you have a free trial of three days that will help you to know how it works and if you are interested or not. Buy Instagram followers: As you will understand, Instagram is a social network that works like any other social network: if you want to be popular, you will have to fight hard to stand out from the "competition". So why not take advantage of a little help to get you started? Every day, hundreds of people register on Instagram, so imagine the world that is already on this social network and has many followers. Faced with them, your bank account can’t compete and inevitably, nobody will come to consult it. But by buying Instagram followers, you'll allow your account to be much more visible on Instagram and attract new followers. who will say that your account is certainly interesting since you already have a lot of followers? Of course, if you want this to remain credible, you can’t buy thousands of followers for an account that is only a few days old. You can start buying Instagram followers from Famoid. Who could believe that such a young account can get so many followers in such a short time and especially? Certainly nobody, so be judicious and don’t be too greedy. Buy enough Instagram followers to make you gain popularity but not so much that it's not too suspicious. In any case, know that a little help from time to time is not forbidden.